Logan Couture told reporters "I thought I lost my testicle"
It’s good to hear that Couture didn’t actually lose a testicle thanks to this. This was undoubtedly painful enough as it was. 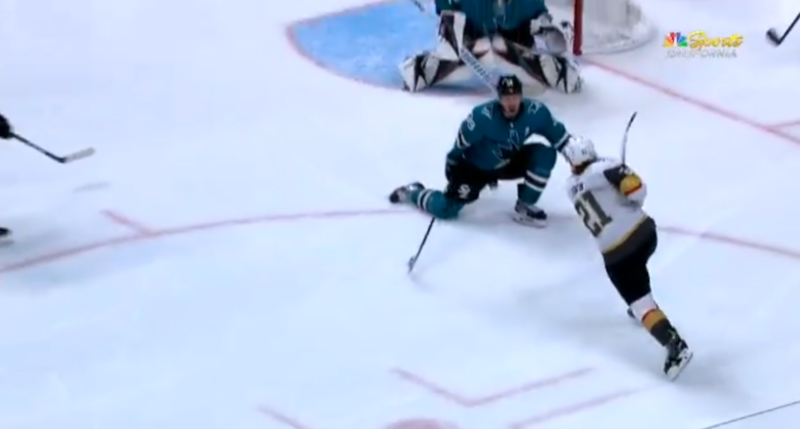 And the Sharks lost 5-3 as well, with some of that coming after a Brent Burns goal that would have put them up 4-3 was controversially disallowed thanks to a goalie interference call on Couture, leading to the Golden Knights scoring on the ensuing power play (which is the other element Couture’s referencing in the above clip). The series resumes Sunday night in Las Vegas; hopefully no testicles will be threatened in that one.